Casino Luck, Next Casino & WildSlots – Easter Egg Hunt! Race for big Easter bonuses! 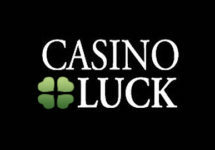 Win up to €/£/$ 1,000 in bonus cash and guaranteed Free Spins! Go on an extended Easter Egg Hunt at any of the three participating casinos and collect as many eggs as possible to race into the TOP3 on the leader board for bonus prizes from €/£/$ 500 – 1,000. Plus, anyone collecting just one egg will be received a guaranteed mystery amount of Free Spins after Easter. 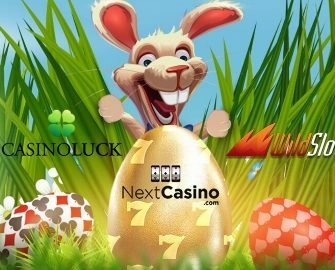 All fans of Easter Egg hunts at the ready as the next 4 days at any of the three Minotauro operated casinos will become an exciting hunt for bonus prizes and Free Spins. Collect the most eggs to race into the top on the leader board to be a winner. Earn one Egg for every £/$/€ 20 wagered on slots. The TOP3 scoring players will win bonus prizes: 1st – £/$/€ 1,000 | 2nd & 3rd – £/$/€ 500, credited by 17:00 CET on 4th April 2018 with a 50x wagering requirement, subject to the standard bonus terms and conditions. All players collecting minimum one Egg throughout the campaign will receive a surprise amount of Free Spins based on the amount of collected Eggs, credited on a selected slot by 19:00 CET on 3rd April 2018. Wagering requirement is 50x FS winnings, subject to the standard bonus terms and conditions. 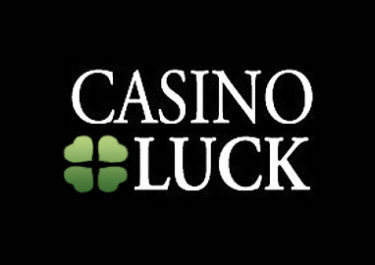 Launched in 2016, the casino is the younger sister site to Casino Luck and Next Casino, all being owned by the acclaimed Minotauro Media Ltd and starting May 2017 is operated on the Aspire Global International LTD platform under MGA Malta and UK Gambling Commission licenses. On offer are a large range of games on desktop, mobile and tablet from Netent, Microgaming, Big Time Gaming, Blueprint Gaming, Elk Studios, Fantasma Games, JustForTheWin, Lightning Box, NextGen Gaming, NYX Interactive, NeoGames, Play’n Go, Rabcat and Thunderkick. The LIVE Casino tables are provided by Evolution Gaming. The site is available in English, German, Finnish, French, Norwegian and Swedish languages and customer support is provided via Email and Live Chat, however during day time only.